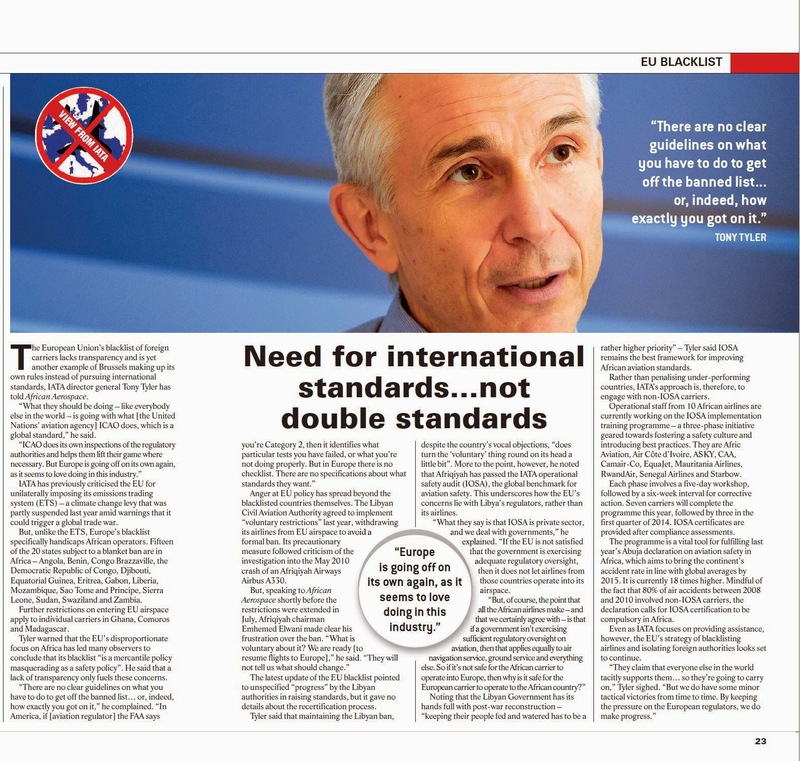 The European Union's blacklist of foreign carriers lacks transparency and is yet another example of Brussels making up its own rules instead of pursuing international standards, IATA director general Tony Tyler has told African Aerospace. "What they should be doing – like everybody else in the world – is going with what [the United Nations' aviation agency] ICAO does, which is a global standard," he said. "ICAO does its own inspections of the regulatory authorities and helps them lift their game where necessary. But Europe is going off on its own again, as it seems to love doing in this industry."